Have you noticed that sometimes the simple ideas are more beautiful and interesting? 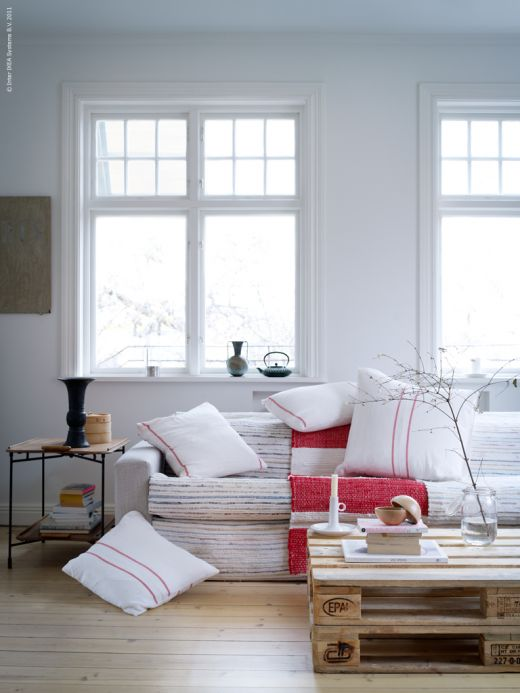 Like for example this white living room by IKEA. 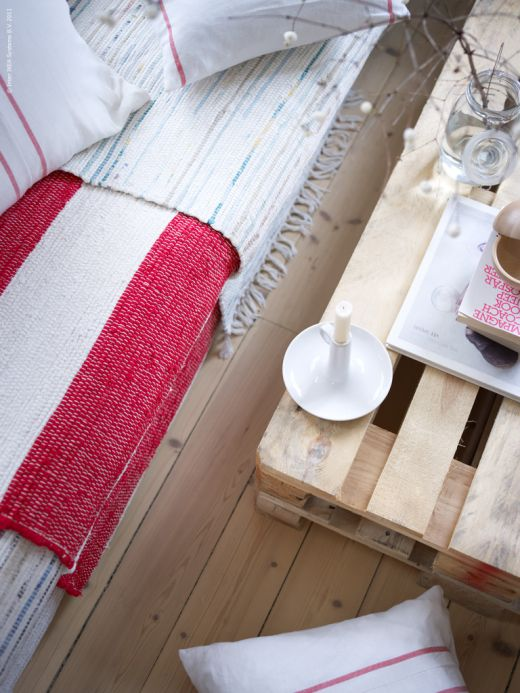 Textile in white and red, wooden pallets instead of table, fluffy pillows, candle and simple vase with a branch inside. Забелязвали ли сте как често става така, че семплите идеи са много по-приложими, и по-красиви. Пример за това е и тази всекидневна от IKEA. Текстил в бяло и черно, палети вместо маса, пухкави възглавнички и ваза с клонка. Beautiful blog! I'm a blogging graphic designer too. I'm so glad that I found your blog. :) Love all the pics. I love the idea of give a new life to industrial waste! 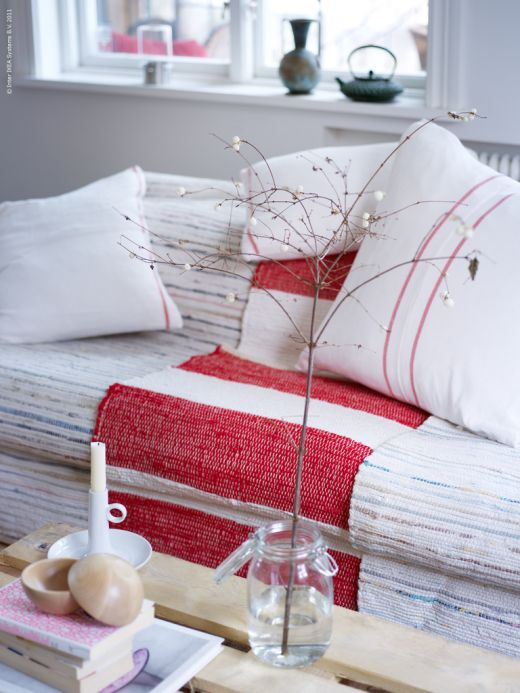 I love the idea of putting runner rugs on an old sofa to give it a new look.